Get Direct Admission to PES University, study B.E/B.tech Engineering through Management Quota on class 12th marks. PES University, Bangalore is a deemed private university established in the year 1972 at Banshankri 3rd phase, Bangalore. It is also known as PES Institute of Technology [PESIT] is one of the top 10 deemed universities in India for B.E/B.Tech admission. It is spread over 30 acres of land with a modern infrastructure, research centers, hostel, sports, canteen facilities inside the campus. 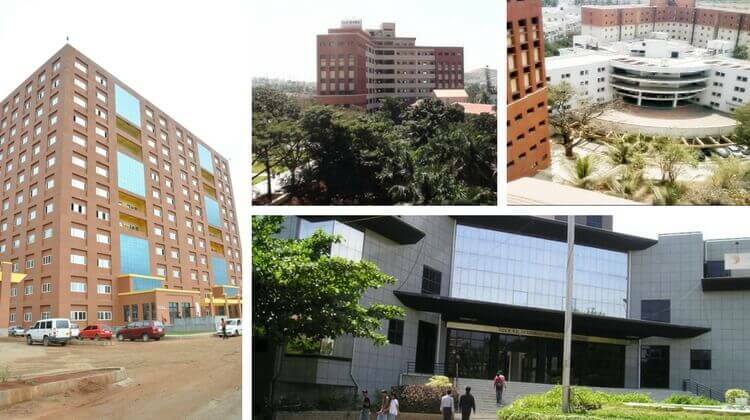 PESIT, Bangalore turned from VTU to deemed private university in the year 2013 and renamed itself as PES University to allow more students join PES. PES ranked among top colleges in NIRF, NAAC A Aggregated college approved by AICTE and UGC. It has a high demand among engineering aspirants for B.Tech Admission. It is managed by peoples education society founded in the year 1888 by DR. M.R. Doreswamy. PES Society has also established PES Institute of Technology, South Campus which is also known as PES University 2nd campus or PESIT South Campus. PESIT South Campus was founded in the year 2013 located at Electronic City, South Bangalore is under VTU university, approved by AICTE and UGC. PES Institute of Technology, South Campus is also ranked among top 10 private engineering colleges in Bangalore, Karnataka. PESIT South Campus is spread over 50 acres with campus modern colleges infrastructure similar to PES University. It has a high demand among Engineering aspirants for B.E admission. Both PES and PESIT South campus are similar in placements, infrastructure, facility. Both of the campuses have the capacity to provide engineering education to more than two thousand students every year. The only difference between both colleges is PES provides Bachelor of Technology [B.Tech] Degree and PESIT South Campus provides Bachelor of Engineering [B.E] degree. 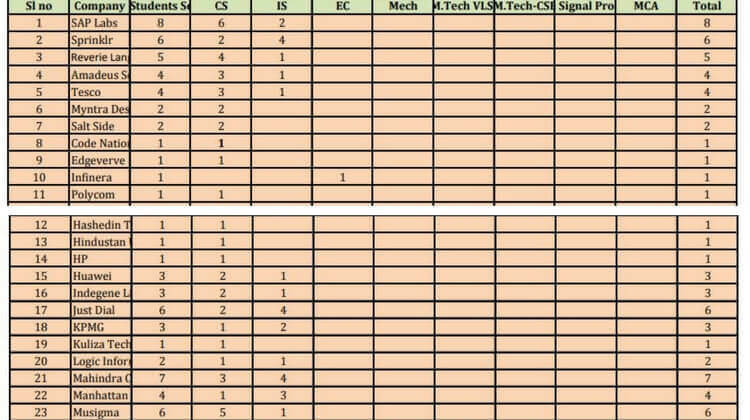 Comedk: For B.E Engineering Admission in PESIT South Campus Comed-k entrance exams is conducted for 30% of total seats. K-CET: For Karnataka State quota seats 50% of seats under PESIT South Campus and PES University is allotted through K-Cet entrance exams and counseling. Apply for K-CET Entrance exams for PES Group of Institutions. Outside Karnataka, students must apply for Comed-k entrance exams for admission to PESIT South campus. PESIT South Campus >> Rank must be below five thousand. For Direct Admission to PES University, it is compulsory to apply for PESSAT entrance exams. Management quota seats are available for NRI/Indian students at PES for higher tuition fees payable every year. For Direct Admission To PESIT South campus, no entrance exams are required, Students can book the seat on class 12th marks by paying higher tuition fees per year. The highest package at PES University is 8 lakhs per annum and the lowest package is 4 lakhs per annum in campus placements. For B.Arch, B.Tech Engineering at PES University per year three lakhs twenty thousand tuition fees will be charged. For K-CET Karnakta students per year, one lakh tuition fees will be charges at PES University. For Comed-K students joining PES Institute of technology per year two lakh tuition fees will be charged. For Management Quota seats at PES and PES Institute of Technology, Bangalore higher tuition fees per annum have to be paid for direct admission. Also, at the time of admission, some donation amount will be charged depending on students score in PESSAT for PES University direct admission. On the other hand for Direct admission to PES Institute of Technology, South campus per year higher tuition fees has to be paid. No donation will be charged for management quota seats at PESIT, South campus plus admission is based on class 12th marks. Per year seventy thousand hostel fees for food and accommodation will be charged for college hostel at PES University and PESIT South campus. At PES University: Architecture, Biotechnology, Computer Science, Electrical, Electronics, Mechanical, Civil engineering. At PESIT, South Campus: Biotechnology, Civil, Computer Science, Electronics & Communication, Electronics & Electrical & Information Science, Mechanical, Telecommunication engineering. Ph.D. and Research programs are also available in many all branches of engineering at PES University. Apply and register for PESSAT entrance exams after completing class 12th, for direct admission at PES, Bangalore. Management Quota seats are given to students who register themselves for PES entrance exams. For Management Seats it is not necessary to prepare for PESSAT entrance exams, just apply for exams and approach college management at the time of counseling direct admission by paying higher college tuition fees. For Management Seat at Pes Institute of technology, South campus book your seat as soon as you complete your class 12th entrance exams. The minimum eligibility criteria for direct admission at PESIT south campus is 45% marks in PCM 12th. We provide direct admission to PES Group of Institutions through management in a low budget package than college counter offerings to parents and students for management seats. Visit us in Bangalore to get admission in PES Group of Institutions in an easy and simplified way. PES University and PESIT South campus are among top 10 engineering college in Bangalore, Karnataka. PES is a Deemed Private University which provides Bachelor of Technology [B.Tech] degree after successfully completing four years. Whereas PESIT south campus is under VTU technical university which provides Bachelor of Engineering [B.E] degree after successfully completing four years. Both the college are under the same trust [People’s Education Society] hence there is no difference in college campus selection and placements. All students at PES and PESIT south campus are grouped together for the purpose of placement. Both the college is located in the most prominent location of Bangalore city easily accessible by bus, cabs and metro trains. Since PES is the 1st campus direct admission seats are costlier than PESIT, South campus. Subscribe to the Email newsletter to know more about Direct admission at PES Group of Institutions, Bangalore. Hello sir/madam, We are interested in direct admission into Computer Science BTech for 2019-20 for my son. Can you please let me know how I approach the management for direct admission for the same? Please visit our office for B.E/B.Tech direct admission in any Private engineering college or university in Bengaluru, Karnataka.